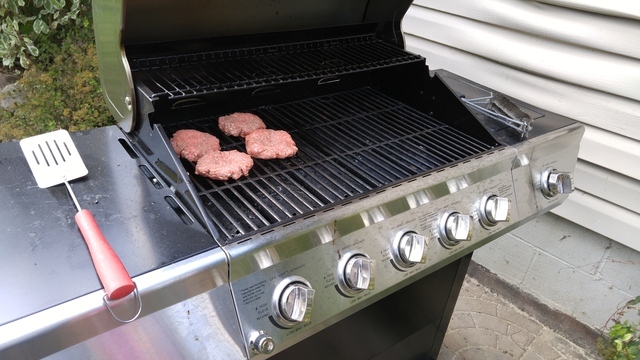 Fire up the grill and get it heated up and ready. Make your patties, we put a divot in the middle of each one, this helps it to cook evenly on the grill. 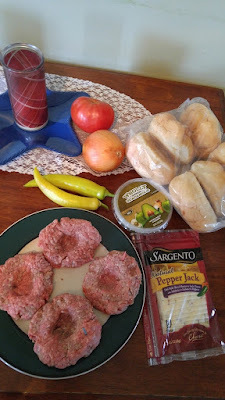 Cook your patties the way you normally cook them, right before they are done, top with a slice of pepper jack cheese. 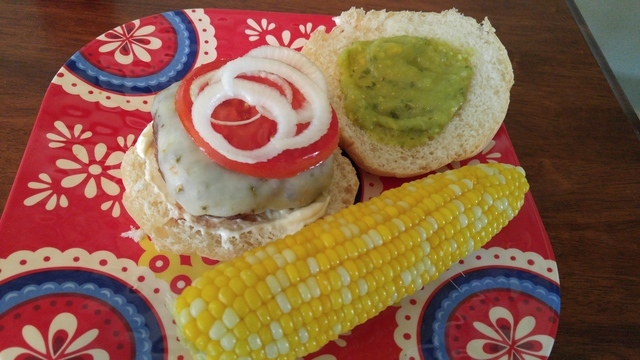 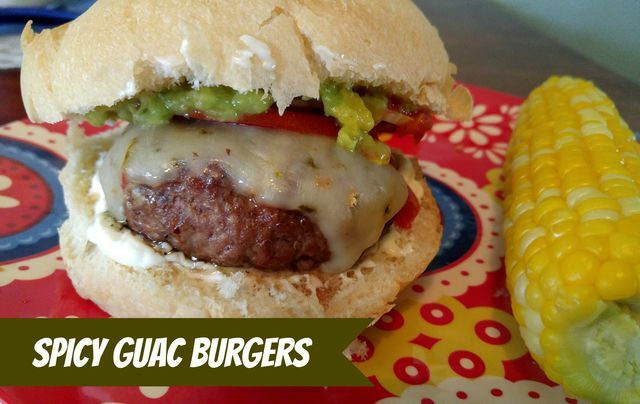 Place your patty on your bun, top with peppers, onions, tomatoes and of course slather on the Wholly Guacamole.